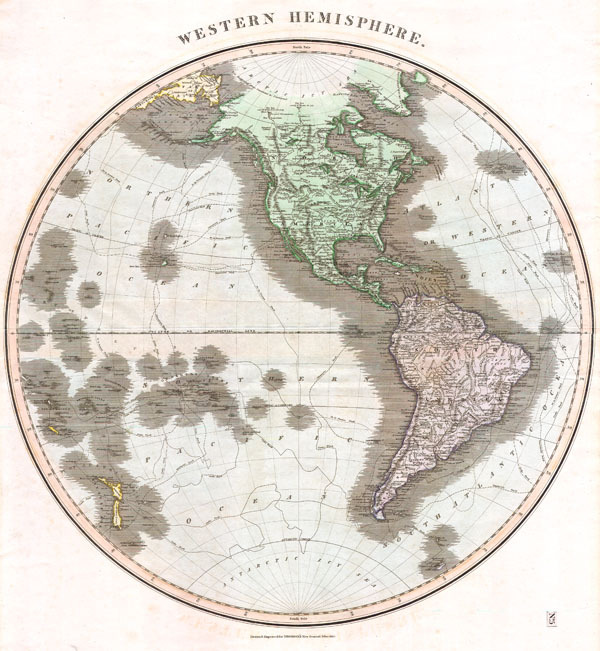 This fascinating hand colored 1815 map by Edinburgh cartographer John Thomson depicts North America and South America or the Western Hemisphere. Map covers from the Arctic to the Antarctic and from New Zealand to the Cape Verde Islands. Depicts the routes of various important explorers include Cook, Gores, Vancouver and Perouse. America's Northwest Coast is only vaguely mapped. Dated, 1815. One of the finest maps of the Western Hemisphere to appear in the 19th century. Good condition. Creasing just above centerfold extending into right margin. Blank on verso.